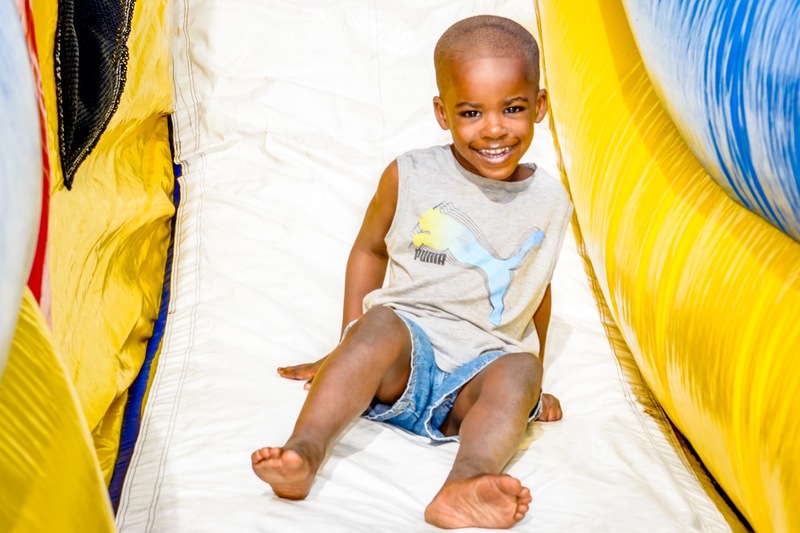 Busy Bee Party Rentals is proud to offer Inflatable Dry Slide Rentals in West Palm Beach, Naples, Fort Myers and the surrounding South Florida communities. Our slides will have your guests entertained from start to finish. 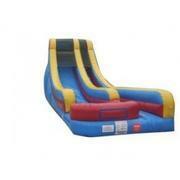 These fun inflatable slides are sure to be the centerpiece of any party or event. What makes these units the perfect fit is that they can be set up indoors or outdoors, are fun for kids of all ages and there is a constant flow of participants so nobody is waiting in line too long for their turn. Our inflatable dry slides would be a great addition for birthday parties, company picnics, family reunions, school field day, festival, or fundraiser. With several to choose from, you're sure to find the perfect slide for your event. Our 15' Retro Slide is perfect for smaller children; however, adults seem to have just as much fun on it as the kids do. Looking for a little more of a thrill? Take a look at our 18' option. Finally, walk the plank and set sail on the high seas with our Pirate Ship Dry Slide. With so many options to choose from, the hardest part will be choosing which one. Looking for a water slide? Click here to be taken to our water slide rentals page. 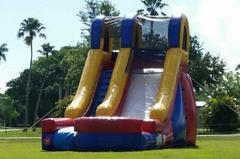 Busy Bee Party Rentals has the best selection large, colorful inflatable dry slide rentals for our customers in West Palm Beach, Naples, Fort Myers, Loxahatchee,Belle Glade, Lehigh, Immokalee, Wellington, Clewiston, Belle Glade, Lehigh, Immokalee and other surrounding areas in South Florida . Here you'll find great deals on America's favorite party attractions. You are sure to find the perfect inflatable rentals for your next event. Browse the selections below and click the image or title for more information and to request a quote. We welcome all questions, please contact us for inquires and orders.